Lasmiditan (COL-144) is an investigational drug for the treatment of acute migraine. It is being developed by Eli Lilly and is in phase III clinical trials. It is a first-in-class “neurally acting anti-migraine agent” ditan. WO-2018010345, from Solipharma and the inventor on this API. Eli Lilly , following its acquisition of CoLucid Pharmaceuticals , is developing lasmiditan, a 5-HT 1f agonist, for treating acute migraine. 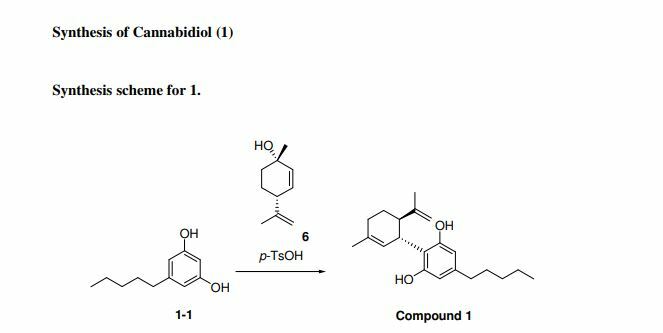 WATCH THIS SPACE, SYNTHESIS COMING………..
Lasmiditan is a serotonin receptor agonist that, like the unsuccessful LY-334,370, selectively binds to the 5-HT1F receptor subtype. A number of triptans have been shown to act on this subtype as well, but only after their affinity for 5-HT1B and 5-HT1D has been made responsible for their anti-migraine activity. The lack of affinity for these receptors might result in fewer side effects related to vasoconstriction compared to triptans in susceptible patients, such as those with ischemic heart disease, Raynaud’s phenomenon or after a myocardial infarction, although a 1998 review has found such side-effects to rarely occur in patients taking triptans. Lasmiditan was discovered by Eli Lilly and Company and was out-licensed to CoLucid Pharmaceuticals in 2006, until CoLucid was bought by Eli Lilly in 2017 to reacquire the drug. The drug is protected by patents until 2031. Phase II clinical trials for dose finding purposes were completed in 2007 for an intravenous form and in early 2010 for an oral form.Two separate Phase III clinical trials for the oral version are currently ongoing under special protocol agreements with the US Food and Drug Administration (FDA). Eli Lilly has stated that they intend to submit a new drug application to the FDA in early 2018. 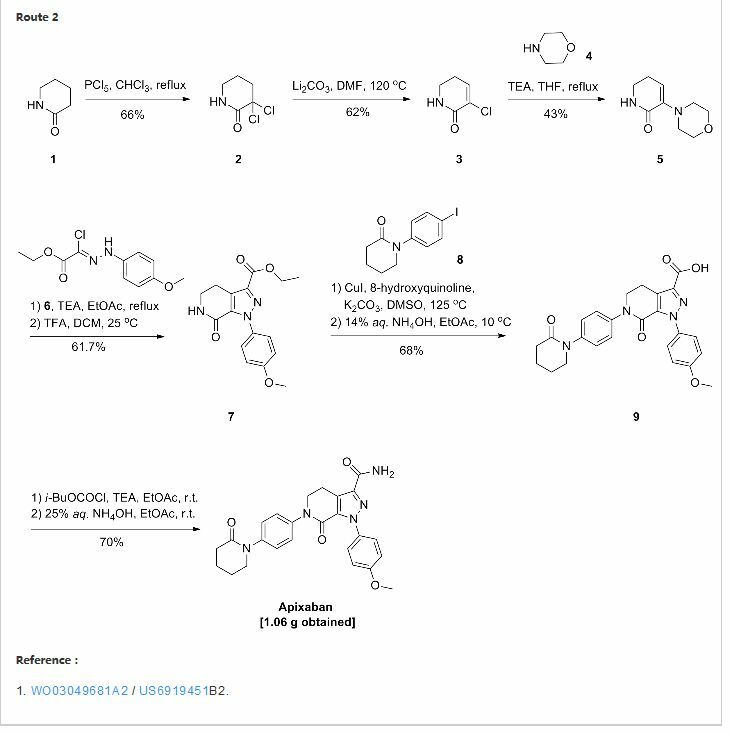 Novel crystalline forms of a 5-HT1F receptor agonist, particularly lasmiditan – designated as Forms 1-3 and A-D – processes for their preparation and compositions comprising them are claimed. Also claim is their use for treating anxiety, fatigue, depression, premenstrual syndrome, trauma syndrome, memory loss, dementia (including Alzheimer’s), autism, schizophrenia, attention deficit hyperactivity disorder, obsessive-compulsive disorder, epilepsy, anorexia nervosa, alcoholism, tobacco abuse, mutism and trichotillomania. Lasmiditan (also known as COL-144 and LY573144) is a high-affinity, highly selective serotonin (5-HT) 5-HT(1F) receptor agonist. In vitro binding studies show a K(i) value of 2.21 nM at the 5-HT(1F) receptor, compared with K(i) values of 1043 nM and 1357 nM at the 5-HT(1B) and 5-HT(1D) receptors, respectively, a selectivity ratio greater than 470-fold. 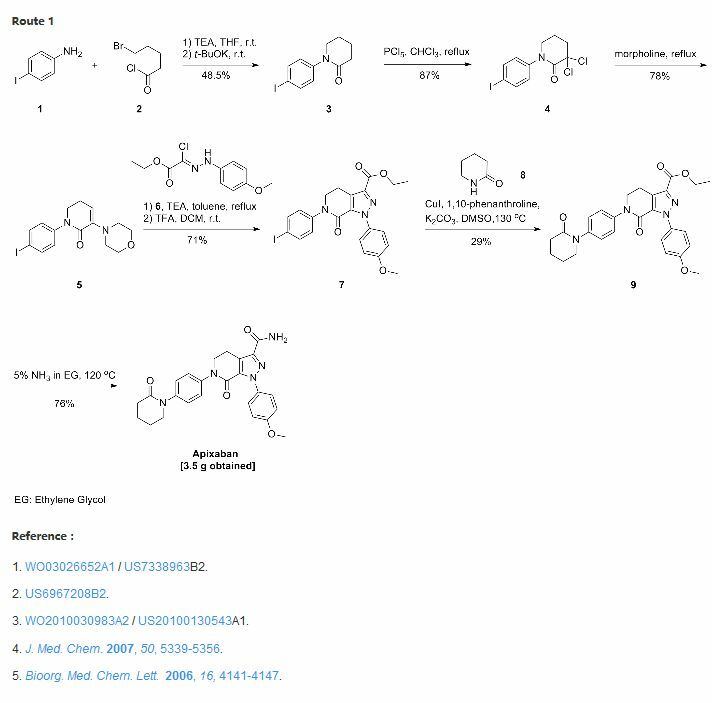 Lasmiditan showed higher selectivity for the 5-HT(1F) receptor relative to other 5-HT(1) receptor subtypes than the first generation 5-HT(1F) receptor agonist LY334370. In two rodent models of migraine, oral administration of lasmiditan potently inhibited markers associated with electrical stimulation of the trigeminal ganglion (dural plasma protein extravasation, and induction of the immediate early gene c-Fos in the trigeminal nucleus caudalis). Combine 2-amino-6-(l-methylpiperidin-4-ylcarbonyl)pyridine (0.20 g, 0.92 mmol), 2,4,6-Trifluorobenzoyl chloride (0.357 g, 1.84 mmol), and 1 ,4-Dioxane (10 mL), and stir while heating at reflux. After 3 hr., cool the reaction mixture to ambient temperature and concentrate. Load the concentrated mixture onto an SCX column (lOg), wash with methanol, and elute with 2M ammonia in methanol. Concentrate the eluent to obtain the free base of the title compound as an oil (0.365 g (>100%)). Dissolve the oil in methanol (5 mL) and treat with ammonium chloride (0.05 g, 0.92 mmol). Concentrate the mixture and dry under vacuum to obtain the title compound. HRMS Obs. m/z 378.1435, Calc. m/z 378.1429; m.p. 255°C (dec). Add triethylamine (10.67 mL, 76.70 mmol, 2.4 eq) to a solution of 2-amino-(6-(l- methylpiperidin-4-ylcarbonyl)-pyridine (7g, 31.96 mmol, 1 eq) in anhydrous THF (100 mL) under a nitrogen atmosphere. Add 2,4,6-triflubenzoylchloride (7.46g, 5 mL, 38.35 mmol, 1.20 eq) dropwise at room temperature. After 2 hrs., add additional 2,4,6- triflubenzoylchloride (0.75 mL, 0.15 eq) and triethylamine (1.32 mL, 0.3 eq) to the reaction mixture and agitate the mixture for an additional 3 hrs. Quench the reaction with distilled water (10 mL) and 30%o NaOH (15 mL). Stir the resulting biphasic system for 1 hour and then separate the phases. Extract the organic fraction by adding H2O (75 mL) and acetic acid (12 mL), followed by cyclohexane (70 mL). Wash the organic fraction with H2O (50 mL) containing acetic acid (1 mL). Combine all the aqueous fractions and washes and neutralize the mixture with 30% NaOH (15 mL). Extract with methyl-tert- butyl ether (MTBE) (3×50 mL). Combine the organic fractions and dry with MgSO4, filter, concentrate under reduce pressure, and vacuum dry at room temperature, to obtain the title compound as a light-brown solid (11.031 g, 91 % yield). Combine R-acid (300 μL of 0.5M solution in dimethylformamide (DMF)), HATU (57 mg, 0.15 mmol), collidine (19 μL, 0.15 mmol), 2-amino-(6-(l-methylpiperidin-4- ylcarbonyl)-pyridine and DMF (1.5 mL), and agitate for 48 hr. Dilute the reaction mixture with 10% acetic acid in methanol (0.5 L). Load the resulting reaction mixture onto a 2 g SCX column. Wash the column thoroughly with methanol and then elute with 1 M ammonia in methanol. Concentrate the eluent and further purify the product by high- throughput mass guided chromatography. This procedure is repeated in parallel for examples 24-54. Heat R-acid chloride (300 μL of 0.5M solution in pyridine) to 55°C, add 2-amino- (6-(l-methylpiperidin-4-ylcarbonyl)-pyridine (200 μL of 0.5M solution in pyridine), and continue heating the reaction mixture for 24 hr. Concentrate the reaction mixture and then dilute with 10% Acetic acid in methanol (0.5 mL) and methanol (0.5 mL). Load the resulting reaction mixture directly onto a 2 g SCX column. Thoroughly wash the column with methanol and then elute the column with 1 M ammonia in methanol. Concentrate the eluent and then further purify the product by high- throughput mass guided chromatography. This procedure is repeated in parallel for examples 55-58. Heat 2-amino-(6-(l-methylpiperidin-4-ylcarbonyl)-pyridine (200 μL of 0.5M solution in pyridine) to 55°C then add R-acid chloride (0.10 mmol), heat for 2 hr. Concentrate the reaction mixture and then dilute with 10% Acetic acid in methanol (0.5 mL) and methanol (0.5 mL). Load the resulting reaction mixture directly onto a 2 g SCX column. Thoroughly wash the column with methanol and then elute the column with 1 M ammonia in methanol. Concentrate the eluent and then further purify the product by high-throughput mass guided chromatography. This procedure is repeated in parallel for examples 59-71. 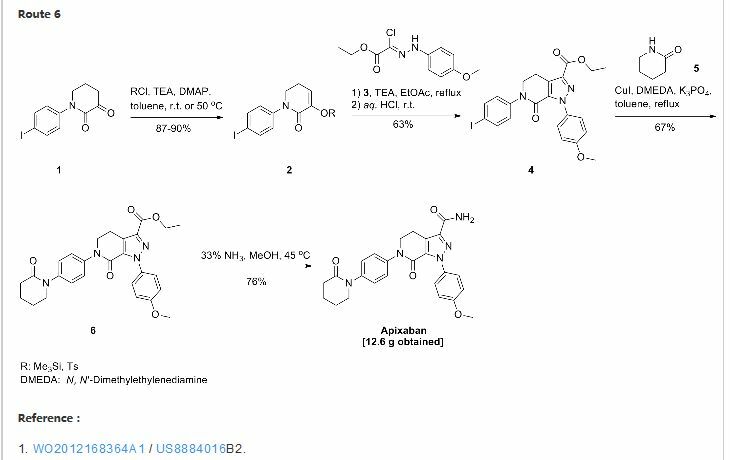 Lasmiditan is a new and selective 5-HT 1F receptor agonist. It acts against migraine and other 5-HT 1F receptor related diseases by enhancing 5-HT 1F receptor activation while avoiding vasoconstrictive activity and inhibiting neuronal protein extravasation such as Migraine (including migraine, migraine headache, neurovascular headache), general pain, trigeminal neuralgia, anxiety, panic disorder, depression, post traumatic syndrome, dementia and the like. 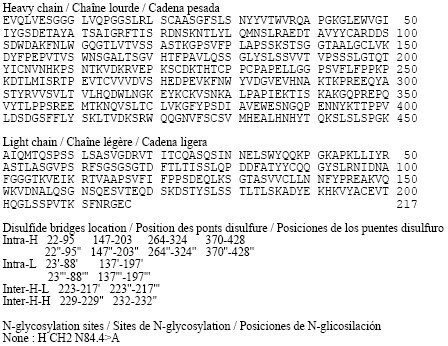 Patent document CN100352817C reports on Lasmiditan, Lasmiditan hemisuccinate and Lasmiditan hydrochloride and the synthetic preparation thereof, and discloses the mass spectra of Lasmiditan, Lasmiditan hemisuccinate and Lasmiditan hydrochloride, 1 H-NMR, 13 C -NMR detection data and the melting points of Lasmiditan hemisuccinate and Lasmiditan hydrochloride. The inventor of the present invention has found that Lasmiditan, which is obtained according to the preparation method of Example 17 and Example 21 in CN100352817C, is a light brown oily amorphous substance, which has the defects of instability, moisture absorption and poor morphology. Example 8 of patent document CN100352817C reports the preparation of Lasmiditan hydrochloride, which mentions Lasmiditan free base as an oily substance. The Lasmiditan hydrochloride obtained according to the preparation method of Example 8 in CN100352817 is a white amorphous substance which also has the disadvantages of unstable crystalline form, high hygroscopicity and poor topography. The synthesis of Lasmiditan hemisuccinate intermediate, including Lasmiditan and Lasmiditan hydrochloride, is reported in Example 2 of U.S. Patent No. 8,697,876 B2. The inventor’s study found that Lasmiditan prepared according to US8697876B2 is also a pale brown oily amorphous substance and Lasmiditan hydrochloride is also a white amorphous substance. In view of the deficiencies in the prior art, there is still a need in the art for the development of crystalline polymorphic Lasmiditan solid forms with more improved properties to meet the rigorous requirements of pharmaceutical formulations for physico-chemical properties such as morphology, stability and the like of active materials. Lasmiditan was prepared as described in Example 21 of CN100352817C by the following procedure: Triethylamine (10.67 mL, 76.70 mmol, 2.4 equiv) was added to a solution of 2-amino- (6- (1-methylpiperidine -4-yl) -carbonyl) -pyridine (7 g, 31.96 mmol, 1 eq) in dry THF (100 mL). 2,4,6-Trifluorobenzoyl chloride (7.46 g, 5 mL, 38.35 mmol, 1.20 equiv.) Was added dropwise at room temperature. After 2 hours, an additional 2,4,6-trifluorobenzoyl chloride (0.75 mL, 0.15 eq) and triethylamine (1.32 mL, 0.3 eq) were added to the reaction mixture and the mixture was stirred for a further 3 h. The reaction was quenched with distilled water (10 mL) and 30% NaOH (15 mL). The resulting two-phase system was stirred for 1 hour, then the two phases were separated. By addition of H 2 to extract the organic portion O (75mL) and acetic acid (12mL), followed by addition of cyclohexane (70mL). The organic portion was washed with water (50 mL) containing acetic acid (1 mL). All aqueous phases were combined, washed and neutralized with 30% NaOH (15 mL). Extract with methyl tert-butyl ether (MTBE) (3 x 50 mL). The organic phases were combined, dried MgS04 . 4 dried, filtered, and concentrated under reduced pressure and dried in vacuo at room temperature to give the title compound as a pale brown solid (11.031g, 91% yield). 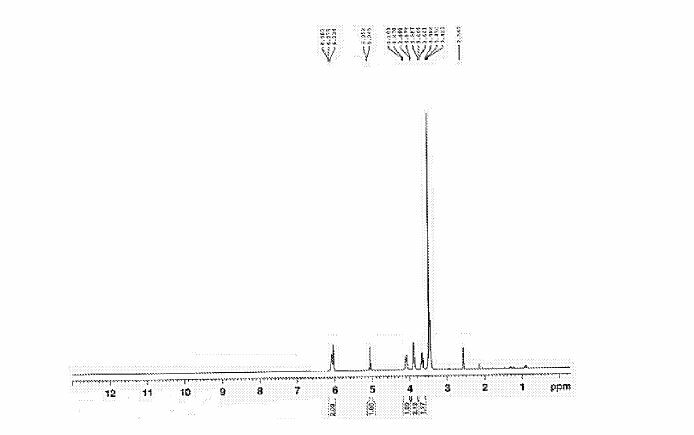 1 H NMR (400 MHz, CHLOROFORM-D) ppm 1.54 (m, 2H) 2.02 (m, 2H) 2.13 (t, J = 18.37 Hz, 2H) 2.29 (s, 3.56 (d, J = 12.59 Hz, 1H) 6.17 (d, J = 13.6 Hz, 1H) 6.75 (m, 2H) 7.45 (t, J = 12.59 Hz, 1H) 7.53 (m, 1H ) 7.95 (s, 1H). The isothermal adsorption curve shown in Figure 5, in the 0% to 80% relative humidity range of 9.5% weight change. 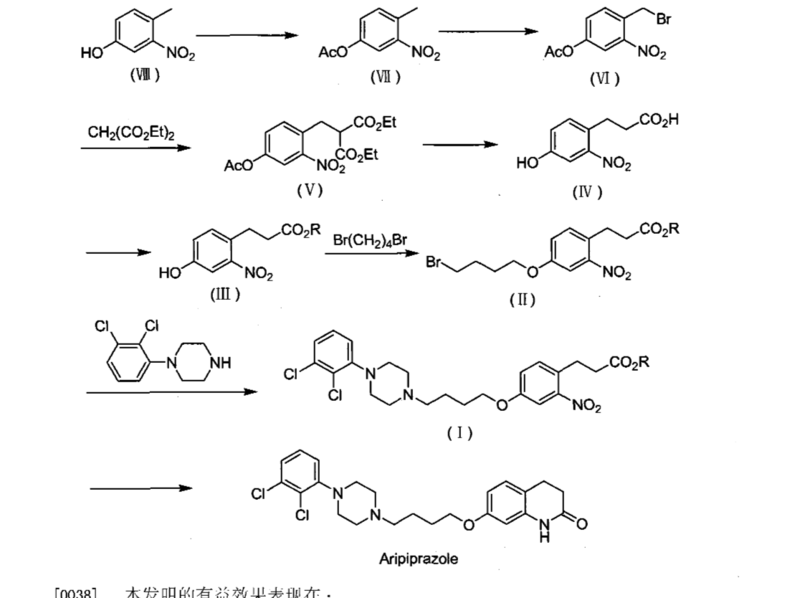 The above characterization results show that Lasmiditan obtained by the preparation method of Example 21 according to CN100352817C is amorphous. The Lasmiditan hydrochloride was prepared as described in Example 8 of CN100352817C by the following procedure: A mixture of 2-amino-6- (1-methylpiperidin-4-yloxy) pyridine Trifluorobenzoyl chloride (3.57 g, 18.4 mmol) and 1,4-dioxane (100 mL) were combined and heated to reflux with heating. After 3 hours, cool the reaction mixture to room temperature, reduce pressure and concentrate. The concentrated mixture was loaded onto a SCX column (10 g), washed with methanol and eluted with 2M ammonia in methanol. The eluate was concentrated to give the title compound as an oily free base (3.65 g (> 100%)). The oil was dissolved in methanol (50 mL) and treated with ammonium chloride (0.5 g, 9.2 mmol). The mixture was concentrated and dried in vacuo to give a white amorphous. IC characterization showed that Lasmiditan hydrochloride salt formed by Lasmiditan and hydrochloric acid in a molar ratio of 1: 1. The XRPD pattern shown in Figure 19, no diffraction peaks, no amorphous. The PLM pattern is shown in Figure 20 as an irregular, unpolarized solid. The isotherm adsorption curve is shown in FIG. 21, with a weight change of 8.1% in a relative humidity range of 0% to 80%. The above characterization results show that: Lasmiditan hydrochloride obtained by the preparation method of Example 8 with reference to CN100352817C is amorphous. Take 500mg of Lasmiditan of Preparation 1, add 1mL methanol solution containing 5% water to clarify, evaporate the crystals at room temperature and evaporate dry after 1 day to obtain 487mg Lasmiditan Form 1 in 95% yield. “Molecule of the Month July 2010: Lasmiditan hydrochloride”. Prous Science. Retrieved 2011-08-03. Dahlöf, CG; Mathew, N (1998). “Cardiovascular safety of 5HT1B/1D agonists–is there a cause for concern?”. Cephalalgia : an international journal of headache. 18 (8): 539–45. doi:10.1046/j.1468-2982.1998.1808539.x. PMID 9827245. Mutschler, Ernst; Geisslinger, Gerd; Kroemer, Heyo K.; Schäfer-Korting, Monika (2001). Arzneimittelwirkungen (in German) (8th ed.). Stuttgart: Wissenschaftliche Verlagsgesellschaft. p. 265. ISBN 978-3-8047-1763-3. OCLC 47700647. By DR ANTHONY MELVIN CRASTO Ph.D in Phase3 drugs on January 22, 2018 .